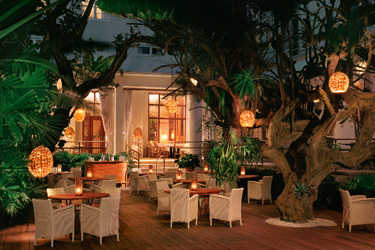 Art Deco appointments infuse the hotel's 104 guest rooms and suites-most with ocean view. 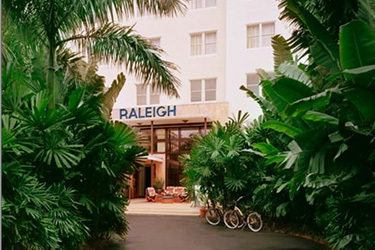 Tranquil and luxe, with period furnishings and terrazzo floors, The Raleigh Hotel's South Beach accommodations seamlessly meet the needs of today's most discriminating travelers, while providing healing respite from the heat of the day. Flat-screen plasma TVs, DVD players, wireless connectivity and Kiehl's bath amenities are just some of the luxury touches that abound. 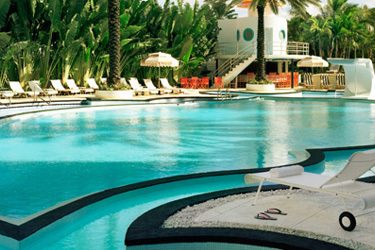 The Raleigh was designed by L. Murray Dixon, one of the most prolific and acclaimed architects of South Beach's historic Art Deco District. 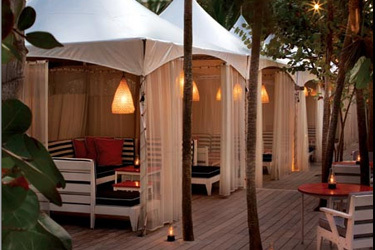 It remains one of the significant buildings from the formative years of Miami Beach. 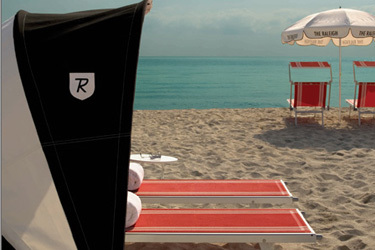 With its regal façade, impressive interiors, and lagoon-sized pool heralded as a "jewel" of modernist design, The Raleigh bestows a commanding presence on one of the most beautiful beaches in the world. 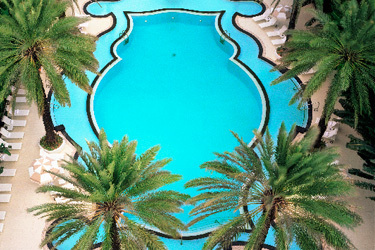 Situated majestically on the oceanfront in the heart of Miami's South Beach, The Raleigh hotel is a masterpiece of Art Deco grandeur with a thoroughly modern sensibility. 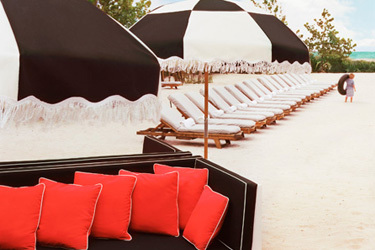 Sister hotel to Hollywood's famed Chateau Marmont and The Mercer in New York, this classic luxury boutique hotel in South Beach has undergone a thoughtful renovation by hotelier André Balazs. A consummate mix of style and understatement, of elegance and comfort, of glamour and warmth, The Raleigh is a jewel amid one of the world's most lively and energizing cities.